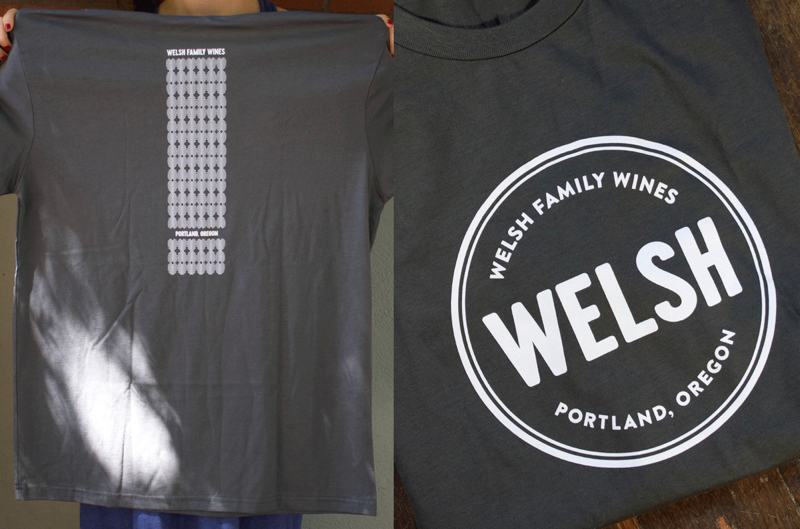 Welsh Family Wines – Flint Design Co.
Dan Welsh and Wendy Davis are committed to producing food friendly and expressive wine using low-intervention viticulture winery techniques. 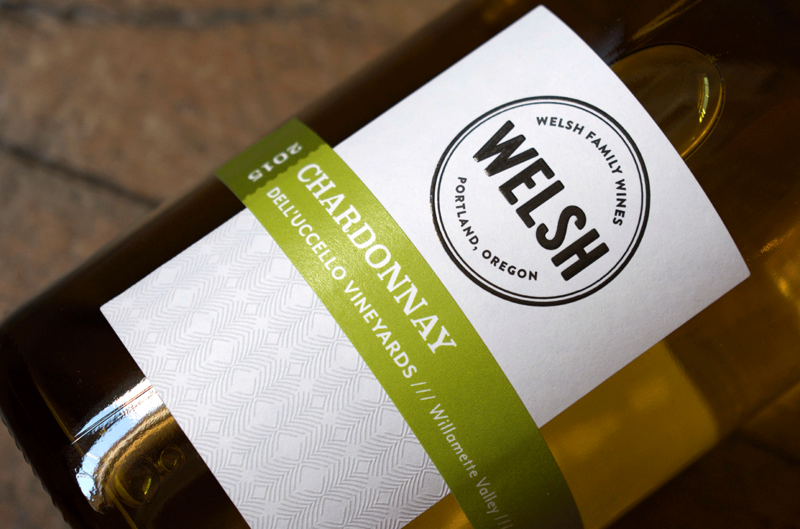 Sourcing their fruit from Oregon’s prestigious Willamette Valley, Welsh Family Wines is small-batch, local, and delicious. This project is a personal endeavor, labor of love for Dan and Wendy. 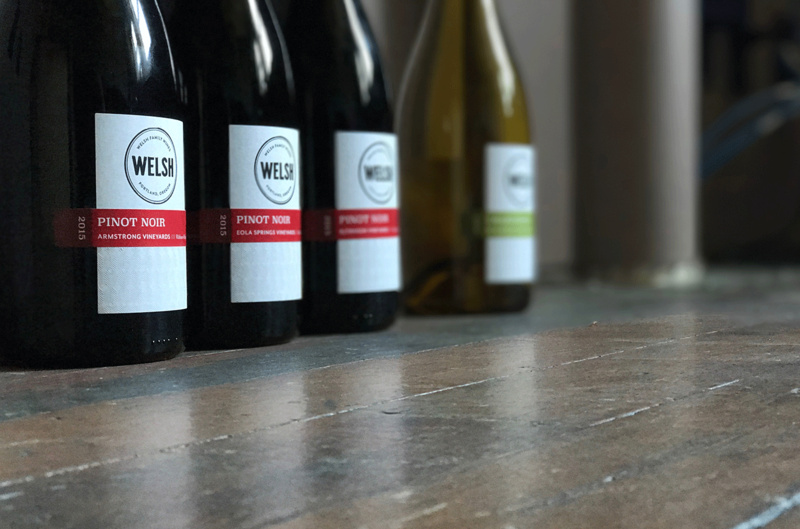 Their approach to winemaking is simple, letting the wines give what they will and reflect the place and vintage. 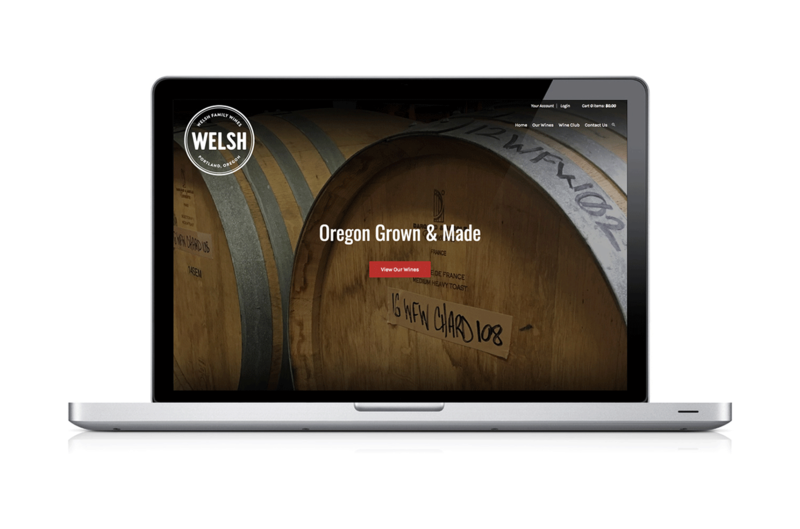 We played off this confident and simple philosophy as the foundation of their brand design. 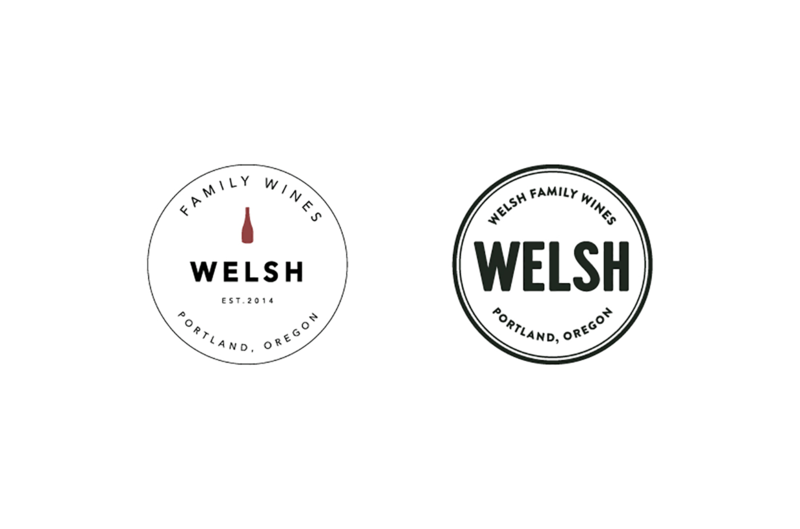 We created an amplified logo, simple and modern in black and white and paired it with a vibrant color palette for separate variety labels. All set off with a subtle, yet complex pattern that is a graphic representation of hummingbird feathers (Dan’s favorite bird). 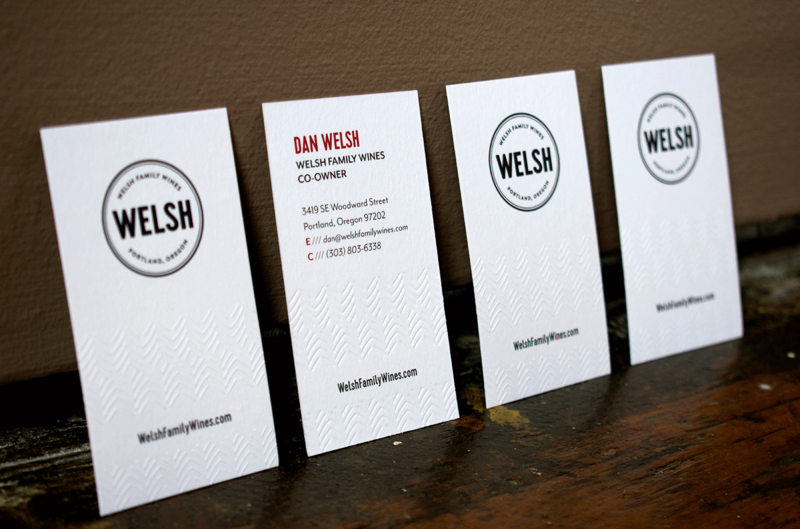 The result: a brand that feels classic, yet modern. Handcrafted, yet polished. 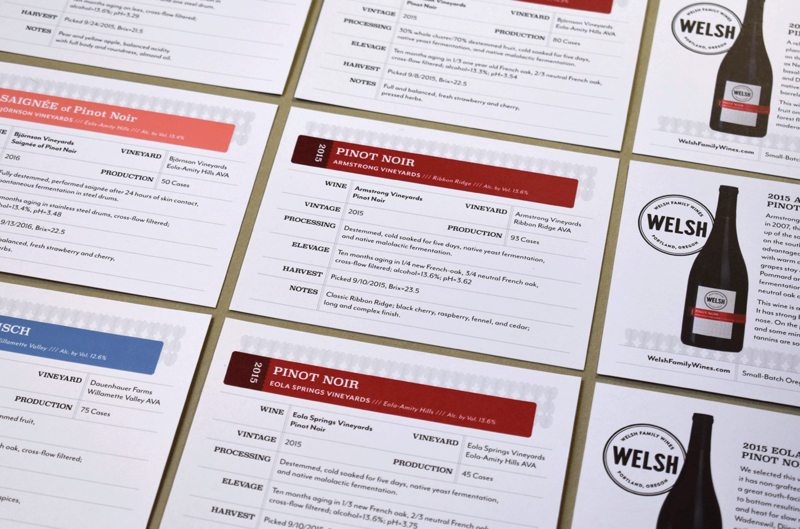 Their launch has been a huge success, sales are growing and the line of wine varieties expand with each vintage.